I didn't really eat vegetables until I was 17. Although I appreciated the beauty of Mother Nature's colorful bounty, eating veggies never really appealed to me and my mom never pushed me to put them on my plate. My firm, "I don't like them," really meant, "I don't want to taste them," and my parents seemed more interested in keeping the peace than passing the peas. Years later, I changed my diet and my life and became a nutritionist who counsels parents about how to deal with picky eaters. Ironic, I know. My own children went through different stages of being picky eaters, so I know what it feels like to be a parent who is worried that my kid isn't getting enough protein. Now my kids are amazing eaters who love to cook and shop — and yours can be too! Here are a few of my top tricks of the trade that can keep the table from becoming a battleground. As a parent, it's important to set an example when you set the table. If you're turning up your nose at the Brussels sprouts, don't expect your 3-year-old to welcome them. Kids will model your behavior, but they will also appreciate your honesty and empathy. 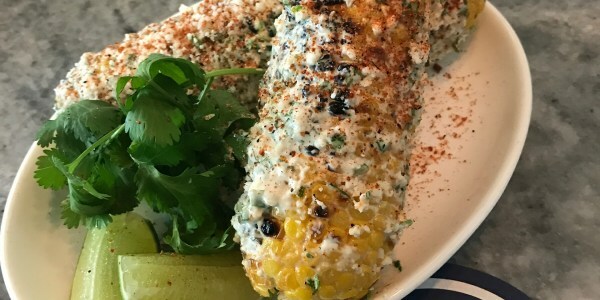 Come clean and share your status as a picky eater by saying something like, "I don't know if I like these [fill in the blank food] but I am going to try it and taste two bites, so, how about if we do this together?" Tell your kids why the particular food is good for them (cheese can help make your bones stronger, like Superman!) to help them understand why it might be worth tasting. 2. Make food shopping fun. Yes, it's true that bringing your kids to the store may take extra time, cost you more money or make you grow a few extra gray hairs, but the supermarket is like a huge classroom where you can teach lessons that will last a lifetime. With smaller children, try playing easy games by asking for their help picking out produce based on color, shape or another characteristic. Spotting red foods or round foods, for example, may help kids see the food as something that's fun instead of something they'd prefer to avoid. For older kids, ask them to compare the labels of certain products to show them how vastly different even similar-looking foods can be nutritionally. 3. Hand over the apron. Cooking with your kids gives them confidence in the kitchen and encourages them to play with and prepare their own food. Some studies have shown that kids who cook are more likely to try the foods they've prepared and handled themselves. Give young children age-appropriate tasks, like stirring. For older kids, provide a simple recipe to follow and you can play the role of sous chef to assist them in exploring their own creativity. Cooking together also opens the door to a natural conversation surrounding the impact of food choices on health and the environment, according to The Kids Cook Monday. I can attest to the fact that cooking together just one day a week can help plant the seed for better eating behaviors later on, even when your children are no longer under your roof. If you're able and willing, that one day a week can become contagious and blossom into a regular routine. Think outside the pan and add something sweet to complement the taste of certain veggies. For example, saute dried cranberries, chopped dried apricots or raisins along with broccoli rabe to cut its bitter taste. 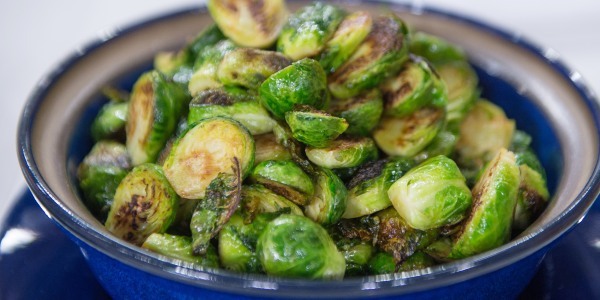 Or drizzle some honey on Brussels sprouts before roasting them. 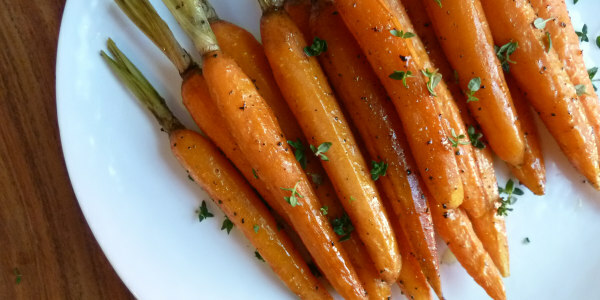 Adding a touch of sweetness for young palates can make vegetables way more desirable. I'm not suggesting that you spoon on sugar or add sweet ingredients in large quantities, but my whole family enjoys these additions to vegetable dishes and yours may too. 5. Shake on some flavor. Ditch the salt from the salt shaker on your table and fill a few shakers with blends of spices and seasoning. Thai, Moroccan, Italian or smoked chile spice blends can fill a meal with flavors that each family member can add on his or her own, helping to explore individual taste preferences and liven up otherwise milder dishes. 6. Be just a little sneaky. When one of my children refused to eat salads, I had to get creative. I knew that he loved mandarin oranges, so I gave him one to eat while the rest of the family ate salad that was topped with mandarin orange slices. Over time, I slipped a little bit of lettuce under his fruit, then a little more, then a slice of tomato ... until eventually he was eating salad with the rest of us. Now he's 6 feet, 4 inches tall and makes his own salads. I knew not to get too emotional, to take things slowly and to have faith that slowly introducing new foods would pay off. It's very important not to attach a side dish of emotion to the process. Getting kids involved in gardening can help increase veggie consumption. If you don't have room for a full-on vegetable garden, even encouraging your child to water herbs growing in pots on a windowsill can help your plants and child flourish while teaching a lesson about responsibility. Also, a salad or any other dish may look a lot more attractive to your child if it includes the fresh basil or parsley that they helped to nurture. 8. Sit at the table together. Families that make a point of sitting down and eating a meal together benefit in extraordinary ways. First of all, shared meals help kids to eat more produce and establish better eating habits overall. But more importantly, family breakfasts, lunches or dinners give everyone at the table the opportunity to share much more than food by talking about the ups and downs of daily life. Bonnie Taub-Dix, RDN, is the creator of BetterThanDieting.com and author of "Read it Before You Eat It - Taking You from Label to Table."